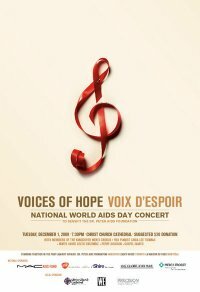 Today, is World AIDS Day 2009. 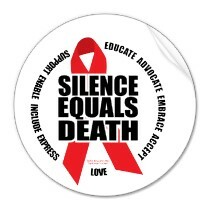 The first World AIDS Day was held on December 1, 1988. The event originated from the 1988 World Summit of Ministers of Health on Programmes for AIDS Prevention, part of the United Nations. Since then, hundreds of millions of people have used World AIDS Day to raise awareness of the ongoing struggle against HIV/AIDS around the globe. I am living my rights. Everyone deserves to live their rights. Access for all to HIV prevention, treatment, care and support is a critical part of human rights. People infected with HIV/AIDS live in all parts of the world. Many countries, however, have been stricken harder by the epidemic than others. In Botswana and Swaziland, for example, almost 40% of the population has HIV/AIDS. In Africa alone, 13 million children have been orphaned by AIDS. Epidemics have erupted in China, Indonesia, Papua New Guinea, Vietnam, several Central Asian Republics and the Baltic States. 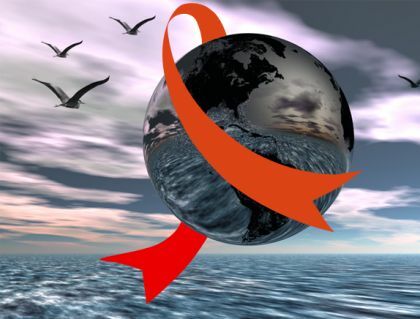 Internationally, combating the spread of HIV/AIDS is further complicated by the resurgence of other opportunistic illnesses such as tuberculosis, aggressive flu virus, malaria, and cholera. In March 2009, the World Health Organization (WHO) reported some 89,000 cases of cholera in Zimbabwe. In populations with high concentrations of immuno-compromised citizens, these types of diseases can wreak havoc. Astonishingly, in 2009, many people – including many in the U.S. – continue to define HIV/AIDS as a problem faced by the “Other.” A “not my problem; it’s their problem.” HIV/AIDS is not just a gay-straight problem; it is not just a health problem. Statistically, HIV/AIDS spreads fastest among young people and working-age adults. The virus respects neither social class, family ties, background, schooling, race, culture, or creed. As a result, HIV/AIDS weakens a country as a whole. In a global community, HIV/AIDS is everyone’s problem, and the epidemic has not gone away. While we are fortunate that people living with HIV or AIDS in the U.S. are legally protected by legislation such as the Americans With Disabilities Act (ADA), stigma and mis-information has continued. The stigma associated with HIV/AIDS could be seen clearly in the fact that the United States – one of only a dozen countries – persisted in banning travel into our country by anyone infected with HIV. This ban went into effect in 1987, a time when fear and ignorance ruled most discussions about HIV/AIDS. When the U.S. Department of Health and Human Services attempted to lift the ban in 1991, a right-wing led Congress took a further step toward stigmatizing HIV/AIDS by making it the only infectious disease barring entry into the U.S. This ban has kept out thousands of students, tourists, refugees, and children with HIV needing adoption. This year, a remarkable event took place, one for which President Obama should be commended. In October 2009, President Obama signed an executive order lifting the travel and immigration ban on people living with HIV/AIDS. On January 4, 2010, people living with HIV/AIDS will be eligible to apply for a green card. In case you missed the signing ceremony, I have uploaded a video to the Box on this site for your viewing. In attendance at the signing ceremony was Jeanne White-Ginder, mother of Ryan White. Ryan White was a teenager from Indiana who brought international attention to the AIDS epidemic and for which is named the Ryan White Care Act. As part of the signing cerermony, President Obama also reauthorized the Ryan White Care Act. 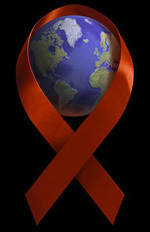 In addition, all across the Internet you can find many informative articles discussing various HIV/AIDS-related issues. Of particular assistance to me in preparing this post was Felix Salmon’s article on Reuters, Anna Gorman’s article from the L.A. Times, and Darlene Superville’s article from The Huffington Post. I also would like to point out a very interesting article written by my colleague, Lori J. Paul, on her blog, californiafamilylawparalegal. The article discusses a specific HIV/AIDS-related issue – adoption or conception by HIV+ men and women. It is well worth checking out, and contains many additional resources not listed here, including a link to the official U.S. government website, AIDS.gov. This entry was posted in civil rights, HIV/AIDS, human rights, immigration, International Law and tagged AIDS, HIV, immigration, Infectious disease, Obama, President Obama, Ryan White, travel ban, U.S. Department of Health and Human Services, United States Department of Health and Human Services, World AIDS Day, World Health Organization. Bookmark the permalink. I’m often looking for brandnew infos in the world wide web about this theme. Thanks!